... do we have the right modern tools to free ourselves? What is required? Its interesting. There is a question to what extent all these things are a conceptual model within the mind. Some of these experiences - emptiness for example - clearly move beyond the mind, yet to communicate them we use words, mind-stuff. Clearly the knowledge is not the experience, but one may be such a skilled fantasist that one projects the illusion without experiencing the reality. This I think is the common state for many seekers. So then. Let's say you have had your first glimpse of enlightenment, various altered states have come and gone. To move from that to a fully realised, permanently changed state of awareness is something only a few manage to do. A series of glimpses is not the final destination. Yet many teachers hold it is possible. Perhaps all we can do is trust their word. Post-enlightenment pitfalls are probably the worry of a very few. We don't have to trust words. Shinzen Young is an outed, declared enlightened being. If enlightened it is easy enough to verify veracity and the more common implied, lesser, projected or delusional 'attainers'. Enlightenment is not for sale, it does not belong to some and not others. If you are worried about it, it's time to take a tea/coffee/cocoa break. Clearly the knowledge is not the experience, but one may be such a skilled fantasist that one projects the illusion without experiencing the reality. But I think those are relatively harmless, you can see they are dreams. It is not as pernicious a trap as the mind dreaming up a vision of enlightenment which roughly matches what you know. The whole idea of analysing post-enlightenment traps makes me wonder whether the person talking really knows what they are talking about, it is a very "mind" activity to be engaged in, if you have surpassed the mind. Mind? You mean they haz 'mind'? Altered states do come and go. That is samsara. The teachers that 'hold it is possible' are usually talking from the 'thus have I heard' model. 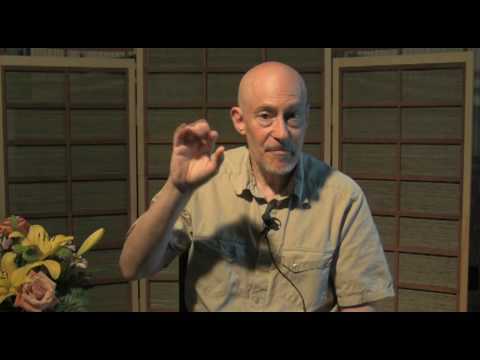 Shinzen Young and others like the below video example are talking of what they know. How many here are trusting words and teachings hundreds of years old? How many looking for contemporary attainers? The difference between vipassana and samatha practice models for example. Very broadly there are two types of meditation in Buddhism. One is Samatha meditation; the other is Vipassana meditation. Samatha here means right concentration. Vipassana means insight or experiential knowledge of bodily and mental phenomena.